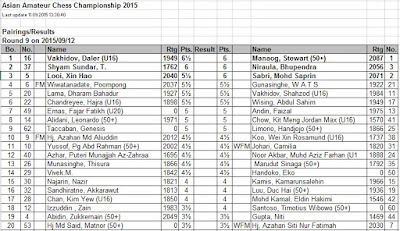 The 2015 Asian Amateur Chess Championship is entering its final round today. It is being held in Brunei. About sixty participants from 11 countries are taking part in the tournament. Thirteen among them are Malaysians. Who is leading after Round 8 had completed? An Uzbekistani player named Daler Vakhidov is the leader having accumulated 6.5/8 points. Four six pointers are trailing half point. Mohd Saprin Sabri of Malaysia is one of them. The leader, Daler Vakhidov, is having the edge to become the champion. A win will guarantee him the championship title. A lost will give the chance to others especially the six pointers. A draw will ensure the top seed player to miss the championship crown. GiLoCatur strongly believes that the champion will come from the Top 3 boards. And GiLoCatur is hoping that the best Malaysian so far, Saprin, to win his final game in the tournament and emerge champion. Saprin has not lost a single game so far. He won four and drew four. Thus, he collects 6/8 points. 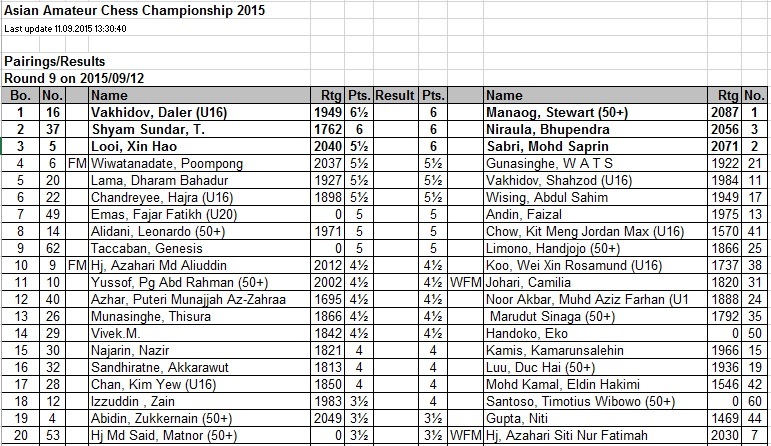 His opponent in the last round is also a Malaysian who is the fifth seed. Wanna know a little bit about Mohd Saprin? 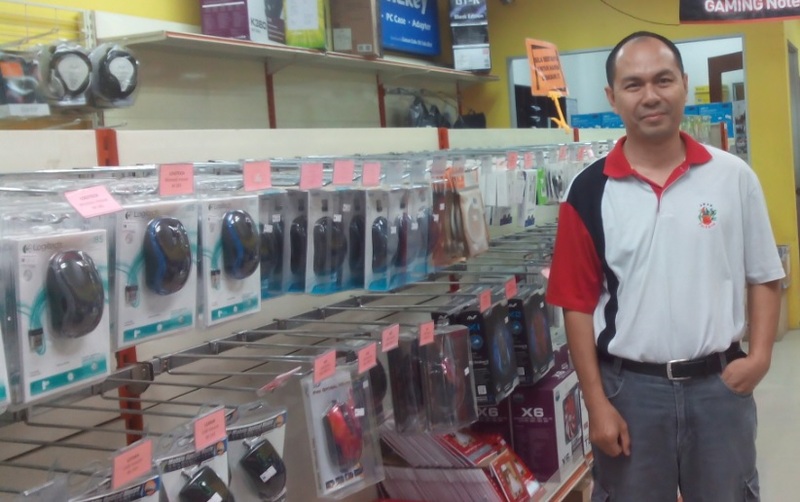 For information, Saprin is the owner of an IT shop named Cari Komputer Dot Com. GiLoCatur had the privilege to visit the IT shop which is located in Bangi in last February. 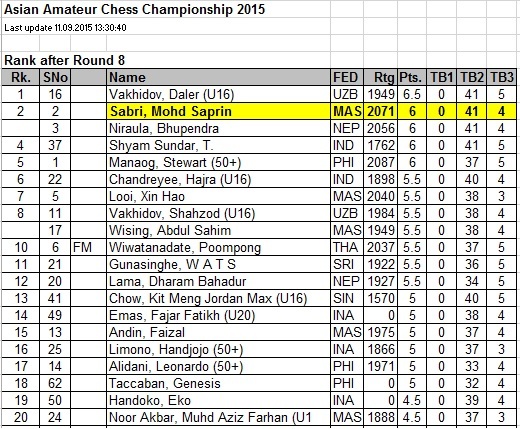 All the Best SAPRIN as well as to all the Malaysian chess players!